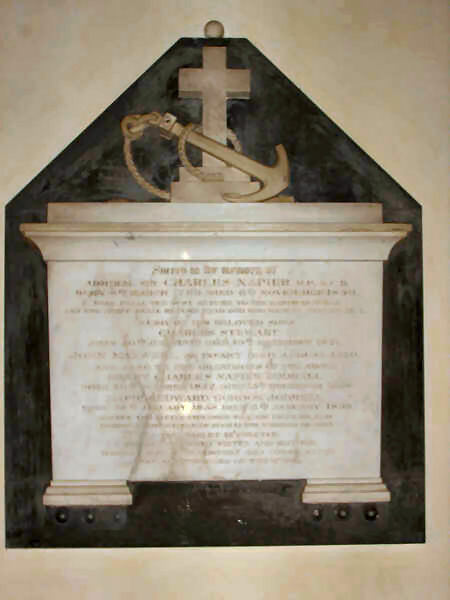 In All Saints' Churchyard is the grave of Admiral Sir Charles Napier (1786-1860), who owned an estate nearby. He was a descendent of John Napier the inventor of logarithms and half cousin to General Sir Charles Napier. Ther is a pillar commemorating the Admiral in Victoria Park, Portsmouth.